While there were only 27 entrants into this year’s Senior Masters tournament, the second lowest turnout since the inaugural year (19), the quality of bowling did not suffer one iota. The competition was very tight, as well, 17 of the 27 entries were within the cash line at some point in the tournament. There were plenty of strikes across the score monitors – but it was readily apparent that poor shots would not be rewarded … save the occasional Brooklyn. 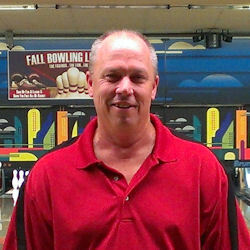 Long strings were few; high games on the day were a 268 by Jeff Barsness and a 267 by defending champion Jeff Richgels. The pattern chosen for the tournament came directly from the kegel.net pattern library. With their handy tool, the user inputs the lane surface, desired difficulty, and oiling machine. From there, it offered four patterns to choose from. Ultimately, the Kegel Kode Challenge Series – 4239 was selected because it was nearest the 4:1 ratio (ala USBC Blue) typically used four our Masters events. The field averaged just over 201 for the tournament on the pattern. The cut to cash was +20, +14, +17, +22, +30, and ultimately +38. Pete Yelk and Conway Sunell tied for the ninth cash spot, and took home $40.00 each. The cut to make the top four stepladder was +41, +43, +50, +62, +65, and finally +72. 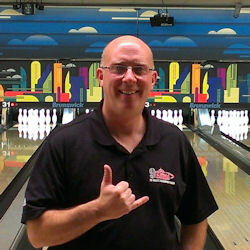 In the first match, the number three qualifier (1273), 2007 Hall member Greg Stauffacher was unable to close out fellow 2007 Hall member Dave Massey (4th, 1272) in the tenth frame. Massey buried the first of his needed two strikes, but was unable to come up with the second, losing to the Rhino 193-189. Stauffacher advanced to face Rick Erce in the semi. Posting a clean 207 game, Stauffacher needed Erce to open the 10th frame. Erce was striking more than Stauffacher, but had a pair of open frames in this game, one in the ninth. In the clutch shot of the day (which, ironically followed the least clutch shot of the day), Erce covered a washout and picked up the requisite pins to defeat Stauffacher 210-207. 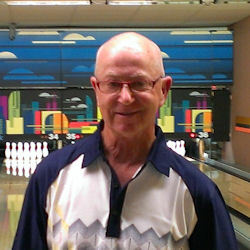 In the title match, Hall of Famer Jeff Prein started the match in the driver’s seat with three strikes. Although he stayed clean, Prein was unable to keep the momentum and Erce fought back to get in the match with a late string of four strikes. 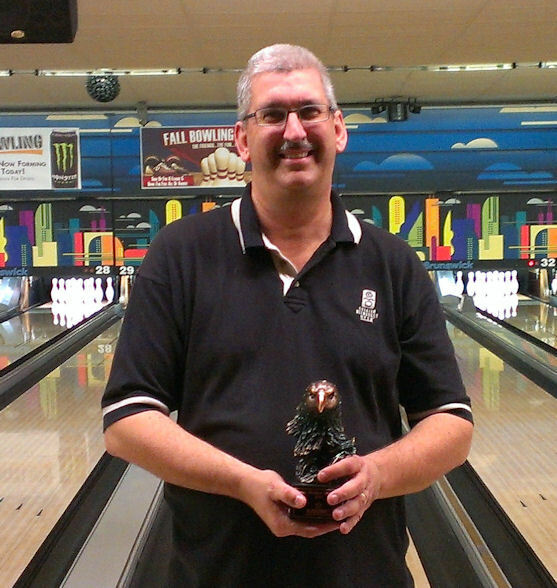 His 9/9 tenth frame, though, allowed Prein the opportunity to double for the win. Erce won 234-223 when Prein left a seven pin on his first shot in the tenth. Congratulations to Rick Erce, who picked up the first place prize of $314, the eagle trophy, a ticket to the Dinner with the Champions, and two tickets to the MBA Hall of Fame dinner. This was a very good tournament, paying $1,254 in total prize money to 1:3 bowlers who entered, with last cash at $75.00 (at least until Sunell and Yelk conspired to share it, costing us an extra fiver).